—The Scientist magazine named Fitchburg-based Promega’s “High BiT” protein-tagging system as one of its top 10 innovations of 2017. The product emits a bright light, allowing researchers to “quantify the abundance of a protein of interest, whether it be in the cell or on the cell surface,” Chris Eggers, a senior research scientist at Promega, told the publication. The High BiT tag can reportedly be incorporated in a variety of places on a protein of interest using CRISPR-Cas9, a gene editing technique that allows researchers to cut out or replace genes in any living organism with DNA. —Madison–based Cellectar Biosciences (NASDAQ: CLRB) said it plans to enroll up to 40 additional patients in a Phase 2 clinical trial of its lead drug candidate, which has the potential to treat malignant tumors and certain forms of blood cancer, including multiple myeloma. The company said it will enroll more multiple myeloma patients in the clinical trial because the data it has collected up to this point showed that the drug, CLR 131, “exceeded pre-specified criteria for clinically meaningful benefit.” Cellectar said it plans to share more data from the Phase 2 trial, as well as its Phase 1 study of CLR 131, in 2018. —Marquette University opened a lab dedicated to studying and advancing blockchain technologies, according to a blog post by Heather Sullivan, who works in the Milwaukee university’s business school. Blockchain is a way of creating a public record of transactional data so that those transactions can later be authenticated, but also which allows the parties involved to keep certain information private by encrypting it. Sullivan wrote in the blog post that the Marquette Blockchain Lab will seek to attract “students, faculty, and community partners from across disciplines and industries” to work together on blockchain projects. 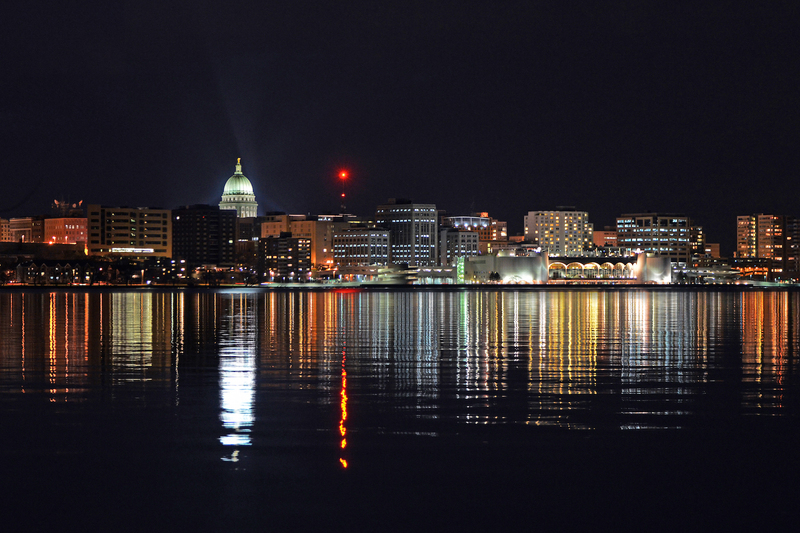 Last month, Marquette held its first-ever blockchain conference, which featured leaders from large Milwaukee financial services companies like Northwestern Mutual and Fiserv (NASDAQ: FISV). —Madison-based American Family Insurance spun out a startup developing a smartphone app that allows people looking to make extra money to sign up for shifts at businesses near where they live. The company, known as Moonrise, is based in Chicago and will kick off a pilot of its service there next month, according to Kara Kaplan, Moonrise’s co-founder and CEO. Moonrise joins the growing list of on-demand labor startups, which includes Wonolo, BlueCrew, and ShiftGig. —Salus Discovery, a Madison-based company developing a new diagnostic test for tuberculosis, recently received a $2.6 million award from The Bill & Melinda Gates Foundation, according to In Business Madison. Unlike many of the tests used to diagnose tuberculosis today, Salus’ test reportedly does not require a sample of sputum, a mixture of saliva and mucus from the patient’s respiratory tract that can be hard to collect. Salus was co-founded in 2013 by David Beebe and Scott Berry; Beebe is involved with other startups in the area, such as Lynx Biosciences. —Ionic launched a new set of mobile app-building tools in hopes of making more money from the 5 million-plus developers who use the Madison-based startup’s software. Ionic’s products are designed in part to help Web developers—some of whom have little or no experience creating mobile apps—to do so using programming languages they already know. More than 100,000 developers have begun using the company’s new tool set, Ionic Pro, co-founder and CEO Max Lynch said.